Having recently had foot surgery and been advised to retire the heels (boo! ), I’ve been forced into trainers for the foreseeable. Well, I say forced but there’s so many stylish sneakers around, it’s no hardship really. 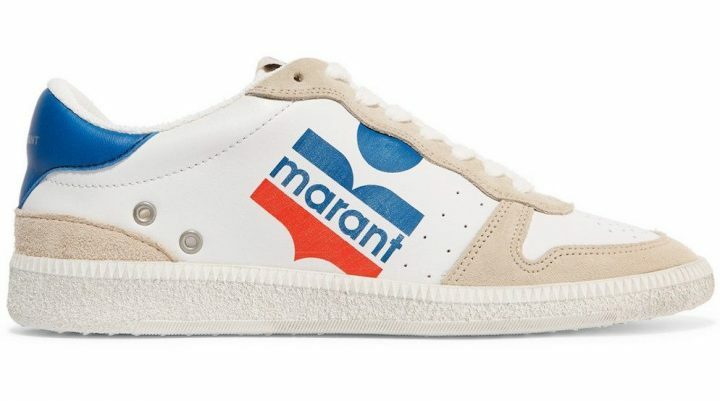 Five years ago I would never have dared wear trainers to work, now every office I work in is full of Stan Smiths. 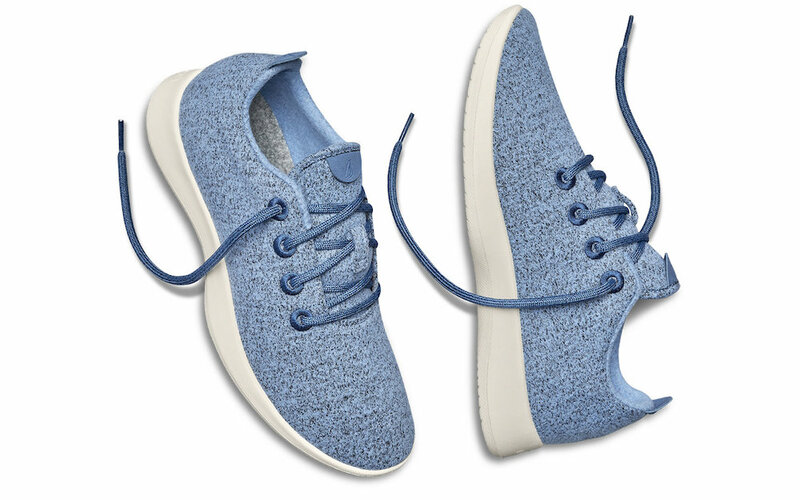 My new favourite brand, and the one currently shodding the trotters of all my fashion editor pals, is San Fran start-up Allbirds. 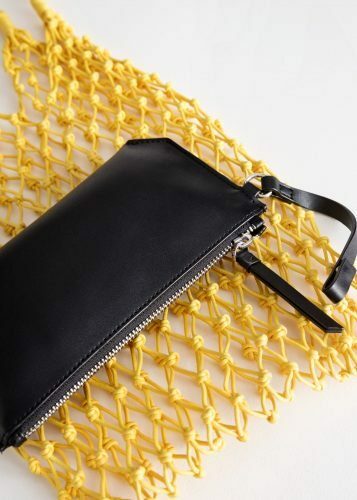 The pleasingly minimal, unisex designs in a muted colour palette are made from sustainable materials, including wool and eucalyptus tree pulp. They’re also ridiculously comfortable and machine washable. Basically they’ve got oodles of both style and substance. 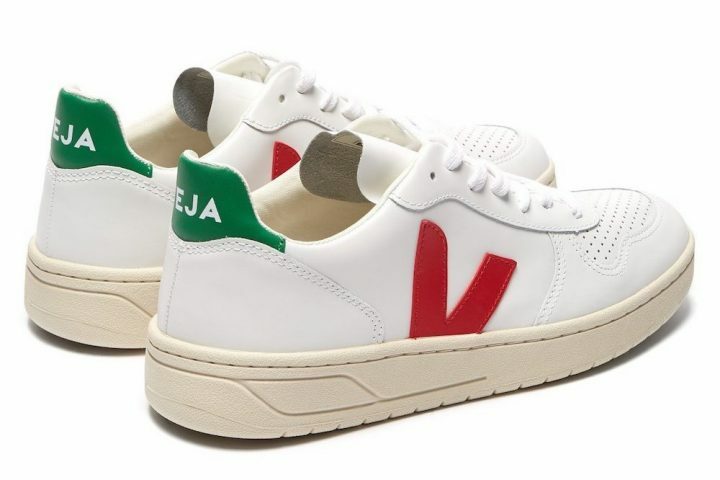 And talking of sustainability, check out Veja. 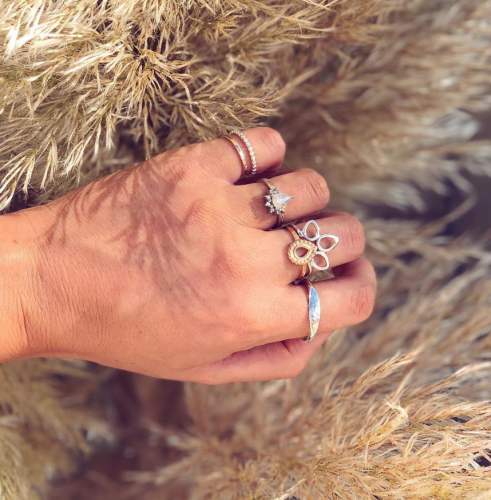 Every twentysomething actress I’ve interviewed in the last couple of years has been wearing these, thanks to their vegan and Fairtrade creds. If you’re a fan of New Balance, I think you’ll like their aesthetic. This week & Other Stories has started stocking the brand so they’re finally on the high street. 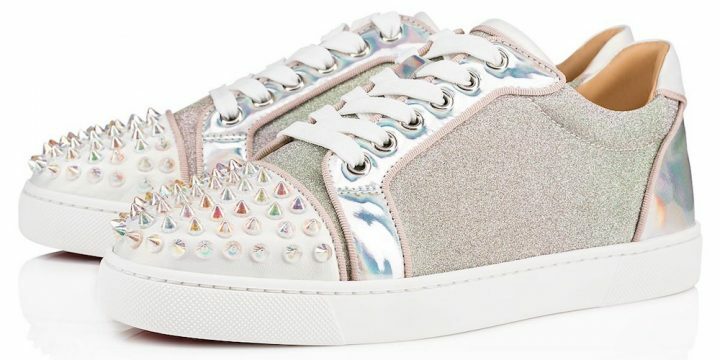 My hair colourist wears only trainers because she’s on her feet all day and she’s always clad in fabulous Louboutin ones (yes, he does make trainers). 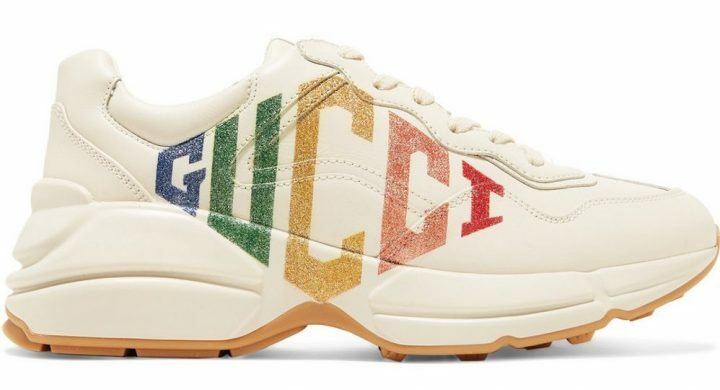 The big labels are focused on what Vogue calls the turbo trainer right now, ie big ol’ chunky ’90s styles such as these Gucci clod-hoppers. For £760 I would want it made very clear what label I’d bought from too though I’m not entirely convinced of their aesthetic appeal. To nail the designer trend in a more palatable way, you might prefer these less spendy, less scary Isabel Marant ones. 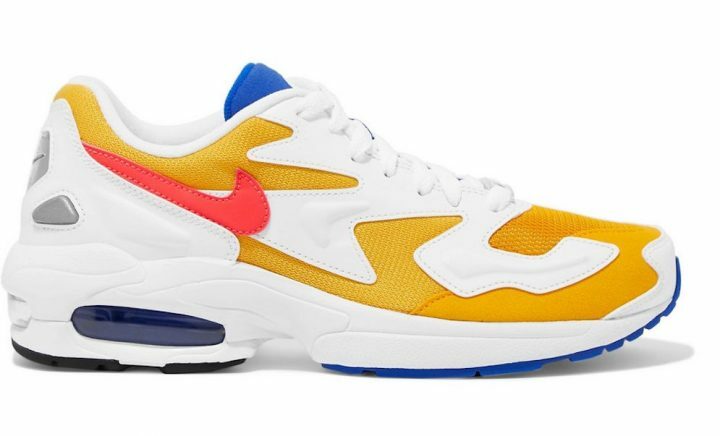 As a nod to the chunkier look, I’ve actually been digging out my ancient ’90s Nikes – you could ease in with these Nike Air Max (£110) which you too might have worn back in the day. Then there’s the high street which is actually surprisingly good at trainers these days. If you’d told the Vans-clad teenage raver me that I’d one day be coveting M&S kicks I would’ve laughed in your face. 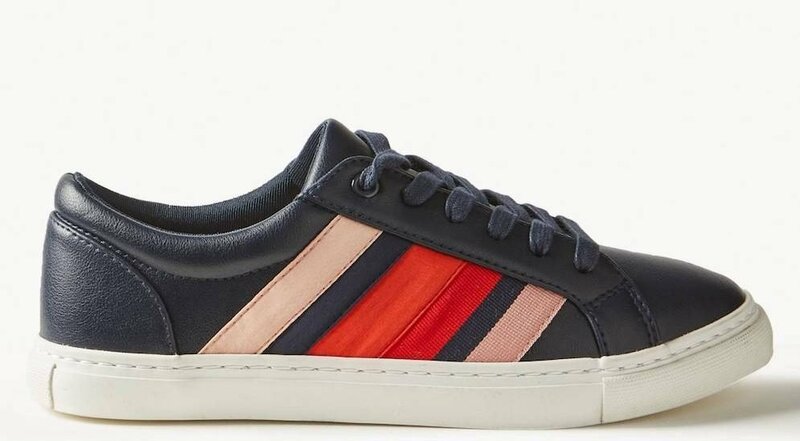 Nowt wrong with this simple striped pair though and they’re an absolute steal at £25. and these retro Boden ones, below, comes in three colourways. Race you to the shops!